The DTEA1024 series of AC/DC desktop power supplies provides up to 36 Watts of continuous output power in a 3.94” x 1.77” x 1.22” package. All models have a single output and a wide input voltage range of 100~240VAC. This series is RoHS and DoE compliant and meets CEC Level VI requirements. 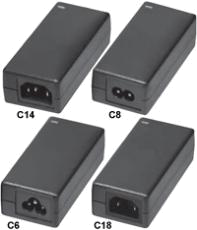 This series also has UL/cUL, CB, CE, FCC, and CCC safety approvals. All models are protected against short circuit and over voltage conditions. 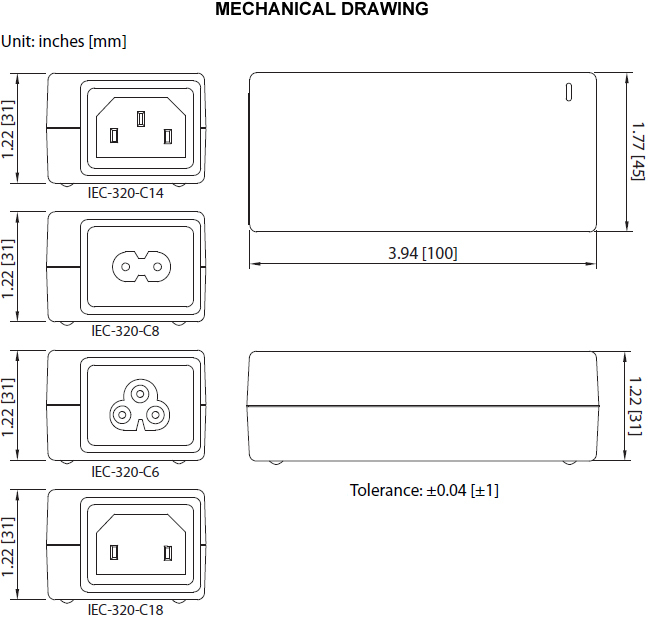 Four AC inlet connector types are available for this series: IEC-320-C14, IEC-320-C8, IEC-320-C6, and IEC-320-C18. Please call factory for ordering details. 5. LED according to customer needs.